Sadly, it also was true that often religions were divided. They were divided against themselves as much as against each other — Muslim against Muslim, Christian against Christian, as well as Muslim, Jew and Christian against each other. Al-Andalus was a collection of tensions and tendencies -- toward unity and unprecedented civilized advancements, and toward sectarian strife and the brutal destruction of these advances. 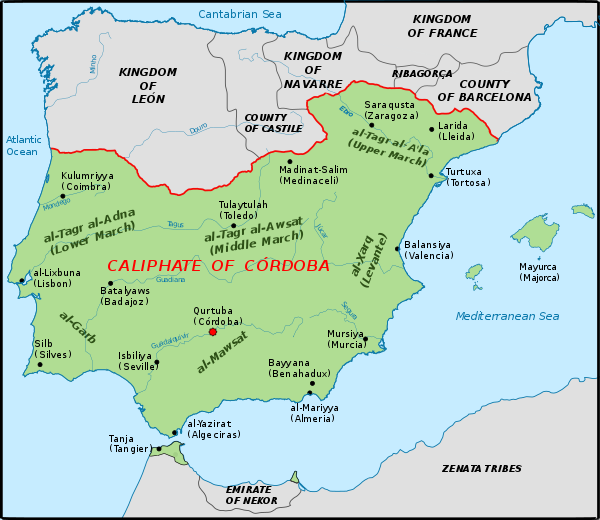 I once traveled with a group of Jews, Muslims and Christians to Al-Andalus (the Arabic name for Islamic Spain) to explore secrets of La Convivencia — that fabled period between 711 and 1492 CE when our three religions shared most of the Iberian Peninsula. Often under Islamic governance, a very high civilization flourished. Jews have called it their “Golden Age.” While other Europeans suffered through a dark and superstitious age, Iberians of differing faiths enjoyed great accomplishments in art, science, architecture, medicine, music, languages and literature, philosophy, commerce and the graces of living. Sadly, it also was true that often religions were divided. They were divided against themselves as much as against each other — Muslim against Muslim, Christian against Christian, as well as Muslim, Jew and Christian against each other. Al-Andalus was a collection of tensions and tendencies — toward unity and unprecedented civilized advancements, and toward sectarian strife and the brutal destruction of these advances. Both existed simultaneously: respect and detestation, mutual commitment and fierce competition, cooperation and duplicity — very much like our world today. We came to see that La Convivencia we sought existed not as a pristine moment in the past but as a possibility for our future. If we could not find it in our histories, then we must create it together. Until La Convivencia finally is realized on earth, God blesses us with glimpses of what we might become. Each year FaithBridge provides opportunities for us to glimpse our faiths coming together in mutual appreciation. Join us for the celebratory breakfast on January 21 when we renew our commitment to Dr. King’s vision of the Beloved Community. Join us at Thanksgiving to express gratitude and learn about each other’s traditions. Join us for interfaith dialogues, classes, salons and other meaningful conversations. Join us when we bring children from across Chicago to a local stage to share the sacred sounds of their faiths. Visit us on Facebook and on our website for more information. La Convivencia is my dream. When people turn away from fear or animosity, when we cooperate in a creative endeavor, when we take time to learn more about each other, La Convivencia comes nearer. Please join us in this holy work.